In this year's School of Kingdom Mysteries, Dr. O teaches on Mystical Church History and Early Church Fathers. Dr. O delves into the ancient African and Egyptian roots of the modern Judaeo-Christian religious system. The current Christian movement is experiencing a massive pull towards the supernatural, mystical, and at times controversial nature of spiritual theory and practice. How many of the current Christian mystics truly understand the background and history of what they currently teach and believe? 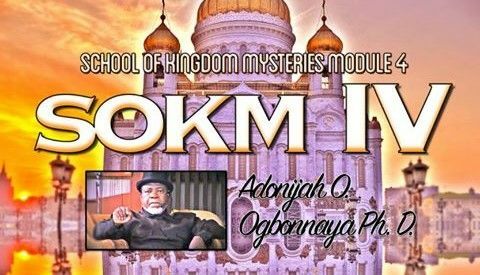 SoKM IV will inform students of the history and mystical progression of Christianity. Modern Christians often know very little about the historical doctrines and cultural perspectives that birthed the interpretations and teachings of the Early Church Fathers. From ancient Egyptian and Chaldean backgrounds, the turn of the century Fathers, and modern figures of history, SoKM IV surveys many of the mystical perspectives.